Global credit rating agency Moody’s Investors Service said the telecommunications sector in Asia Pacific (APAC) will face stronger competition and increasing commoditization in 2019 caused by new entrants in the industry. Southeast Asia is facing a growing skills gap amid robust growth in investments, according to Swiss staffing giant The Adecco Group. THE Asean market is crucial for Singapore’s future growth, not least against the backdrop of United States-China trade tensions, said panellists at the 11th Singapore Economic Policy Forum on Thursday. Asean countries should transition to becoming producers of goods and services rather than consumers, Malaysian Prime Minister Mahathir Mohamad said during an address at Chulalongkorn University in Bangkok on Thursday at the end of his two-day trip to Thailand. Development cooperation is taking on new geopolitical significance. Earlier this month, the U.S. The Philippines is fifth most competitive economy in Southeast Asia and 56th out of 140 economies worldwide, according to the latest Global Competitiveness Report published by the World Economic Forum. Swedish telecom equipment maker Ericsson said it has started exporting 5G-ready telecom equipment such as base stations and microwave gear from its manufacturing facility in Pune to Indonesia, Singapore and Thailand. MORE than nine in 10 companies in the South-east Asian region are confident in the competitive advantages of their digital transformation plans, according to an industry poll. The ASEAN Foundation and SAP today held the regional finals of ASEAN Data Science Explorers (ADSE) in a face-off that saw three student teams from Singapore, the Philippines and Vietnam emerge top for their insights and data-driven solutions to solve the region’s pressing social issues. 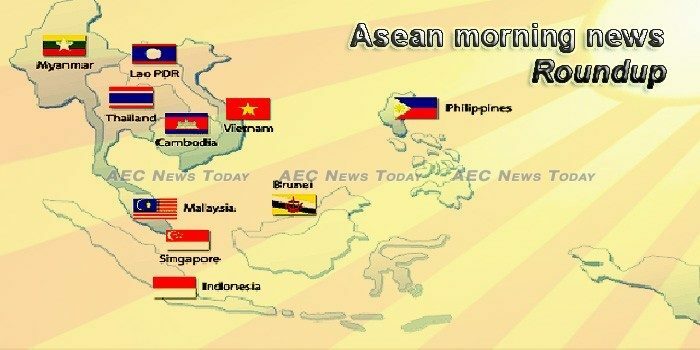 Prospects for a broader and deeper integration between ASEAN economies and China in the coming decades are “bright” as these countries complement each other in their economic goals, according to a new report by the ASEAN+3 Macroeconomic Research Office (AMRO). Singapore-based Grab has partnered payments processor Mastercard Inc. to issue prepaid cards tailored to Southeast Asian consumers, extending the use of Grab’s digital wallet and helping its unbanked users transact online. It’s 11am on Sunday morning in the industrial area of Singapore’s Pasir Panjang district, and the sun is streaming through the floor-to-ceiling windows at Habitat, a technology-enabled supermarket concept by online grocery start-up Honestbee. Why is Southeast Asia one of the most promising emerging markets for the Forex CFD industry? Malaysia has called for the need of gender perspective in the formulation and implementation of all policies, plans and programmes in the three ASEAN Community Pillars. In response to allegations that the private sector in Cambodia is being unfairly treated on backdated taxes, the General Department of Taxation said yesterday it might show some leniency on the issue. Prime Minister Hun Sen added to speculation that his eldest son, Manet, is one day likely to succeed him as Cambodian leader by telling members of the Cambodian diaspora in Switzerland that “if he is elected, he can be prime minister”. Cambodian technological start-ups are booming business, said a recent report on the Kingdom’s tech ecosystem prepared by Mekong Strategic Partners and Raintree Development. Indonesia’s government is offering investors $37.3 billion worth of infrastructure projects, $1 billion of which is earmarked for Shariah-compliant financing, Ekoputro Adijayanto, CEO of the ministry of national development’s Center for Private Investment (PINA) told Salaam Gateway. The Indonesian Democracy Index (IDI) has increased during four years of the Joko Widodo-Jusuf Kalla administration, Coordinating Minister for Political, Legal, and Security Affairs Wiranto stated. Over the past decade, China’s outward investment into Asean has increased steeply from practically zero to about US$122 billion in 2016. In addition to the bigger Asean economies, investments have flowed into the newly emerging economies of Cambodia, Lao PDR, Myanmar, and Vietnam, supporting growth and development in these countries. Lao labour authorities have confirmed they will continue to work with Kuwait to advance cooperation in the sector between the two countries. Three months since the collapse of Laos’ Xe-Pian Xe-Namnoy hydro-power dam cut a path of destruction through 13 villages in the province of Attapeu, many communities, including that of Mai Village, are finally able to move into government-built temporary housing after spending weeks in emergency shelters. MALAYSIA approved RM61.6 billion in investments from January to August this year in both foreign and domestic direct investments, up a whopping 52.47% from RM40.4 billion recorded in the corresponding eight months of 2017. The country’s construction industry is expected to record slower growth next year amid revision of mega projects and in line with the slowdown in the global construction sector, said Works Ministry Secretary-General Datuk Seri Zohari Akob. Malaysia’s oldest newspaper, The Malay Mail, will print its last edition on Dec 1, as the tabloid goes fully digital in an increasingly challenging media industry. Foreign tourist arrivals bounced back in September after contracting the previous month, and are bound to grow further as tourists gear up for the reopening of Boracay island on Friday after a six-month rehabilitation. Typhoon Yutu intensified as it continues to move towards the Philippine Area of Responsibility (PAR). President Rodrigo Duterte on Thursday sacked the customs chief and other top agency officials, a day after a congressional inquiry heard that suspected Chinese traffickers had smuggled in billions of pesos in methamphetamine despite the government’s vaunted war on drugs. Visitors from China and Japan boosted monthly volumes. Singapore is due to execute two convicted drug traffickers on Friday after hanging a man on Wednesday for the same offense amid fresh calls for the wealthy state to abolish the death penalty. Border trade in the first nine months of 2018 grew 6.14% year-on-year to 1.04 trillion baht, with an export surplus of 133 billion baht, but the negative impact of falling Chinese tourist arrivals is now. showing. National carrier Vietnam Airlines plans to replace its fleet of ATR aircraft with new-generation regional jet aircraft containing about 100 seats in order to improve the efficiency of operation and service quality on short routes. The Ministry of Industry and Trade (MoIT) wants to take advantage of market and policy opportunities to promote automobile manufacturing projects of domestic automakers including Tru?ng H?i Auto Corporation (Thaco), Thành Công Group and VinFast.